TIGARD — For three competitors, twice was nice. Twice, as in winning for the second straight year, that is. 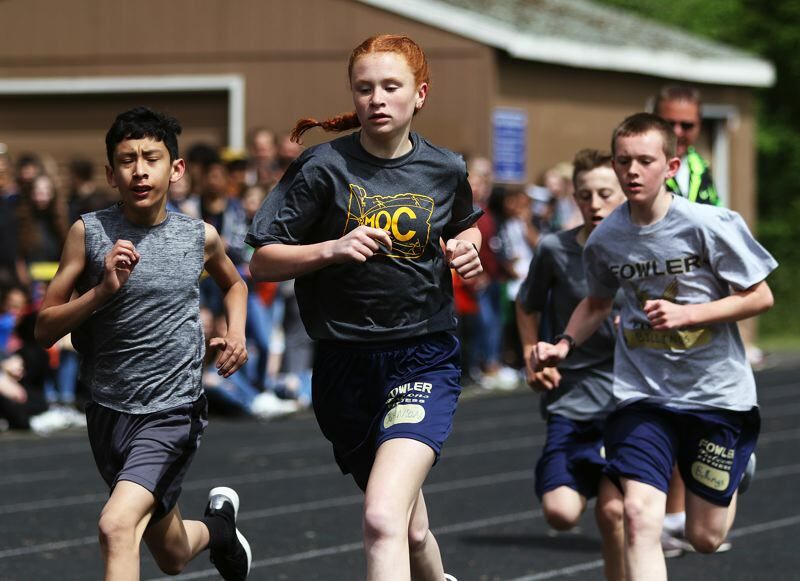 Three runners — Lily Herman, Remus Repcak and Davis Boogman — all repeated as champions when they triumphed at the 23rd-annual Beadnell Classic Invitational Mile, held May 31 in front of a large, loud crowd at Fowler Middle School. The annual event features the top sixth, seventh and eighth-grade runners from Fowler, Twality and Hazelbrook middle schools. This year's event featured many strong performances, some late comebacks and some wire-to-wire victories. 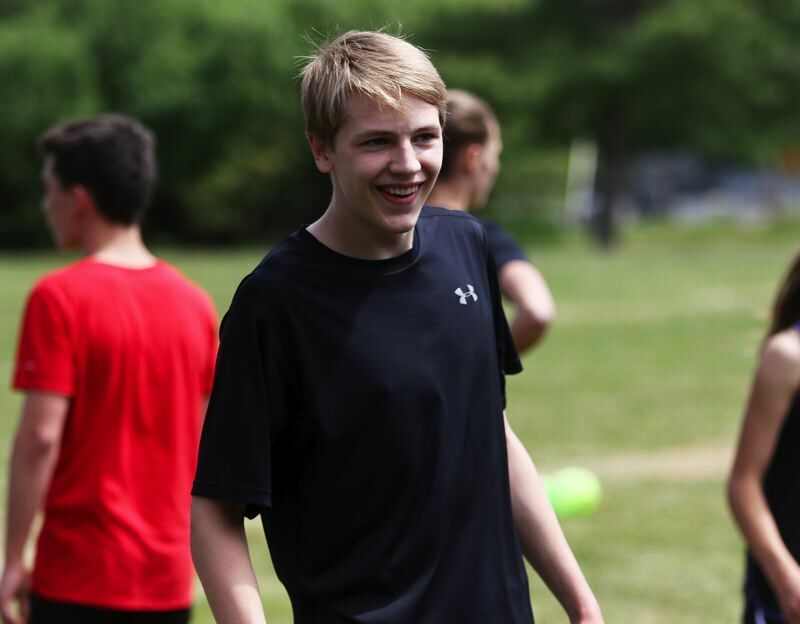 Boogman, from Fowler Middle School, used a strong finishing kick over the last 200 meters to win the eighth-grade boys race in a time of 4 minutes, 57.75 seconds. Boogman's time bettered his winning time of 5:19, that he ran in winning the seventh-grade race a year ago. His mark of 4:57.75 was the fastest time in this year's race, and he needed to do that, as the eighth-grade boys race was also the closest race for the day. Hazelbrook's Sam Roach was second in a time of 4:58.94 and Dean Horton, also from Hazelbrook, was third in a time of 4:59.25. Also competing in the eighth-grade boys race were Geovanni Gonzalez and Ruben Urrutia from Fowler, Connor Henderson from Twality and Caleb Lakeman and Noah Ogoll from Hazelbrook. 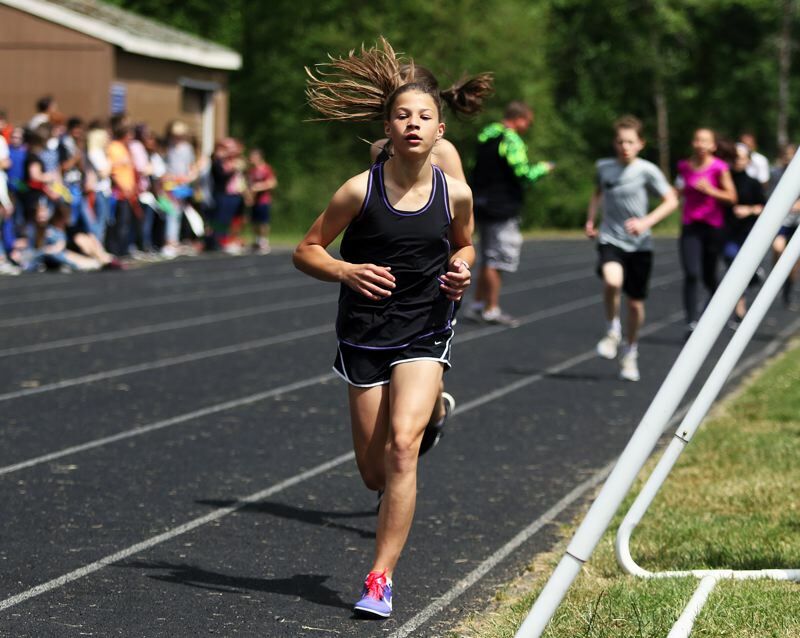 Herman, from Fowler, ran to victory in the seventh-grade girls race in a time of 5:44.12. That mark was more than a half-minute faster than her time of 6:15 from last year, when she won the girls race. Her winning time this year was also the fastest for all girls on the day. Clair Roach finished second in this year's seventh-grade girls race in a time of 6:00.72. Twality's Mya Loudd placed third with a mark of 6:12.22. Also competing in the seventh-grade girls race were Alexis Arellano and Mercedes Harms from Fowler, Marianna Flores, Kylie Doherty and Marin Hensley from Twality and Eli Hooper and Lily Bennett from Hazelbrook. 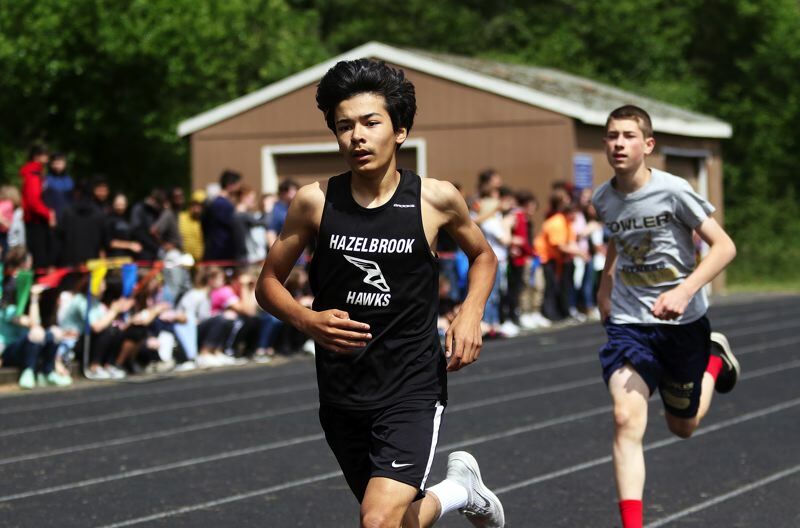 Repcak, from Hazelbrook, taking the lead from the beginning, and never letting go, picked up his second straight win in the Beadnell Classic, as he won the seventh-grade boys race in a time of 5:02.88. A year ago, he won the sixth-grade boys race with a mark of 5:32. Fowler's Caleb Benjamin finished in second place in this year's seventh-grade boys race in a time of 5:23.09. Aaron Lakeman from Hazelbrook was third at 5:23.31. Also competing in the seventh-grade boys race were Eli Chesler, Brady Jordan and Owen Erb from Fowler, Angel Ramos Rizo and David Jones from Twality and Noah Hayes from Hazelbrook. 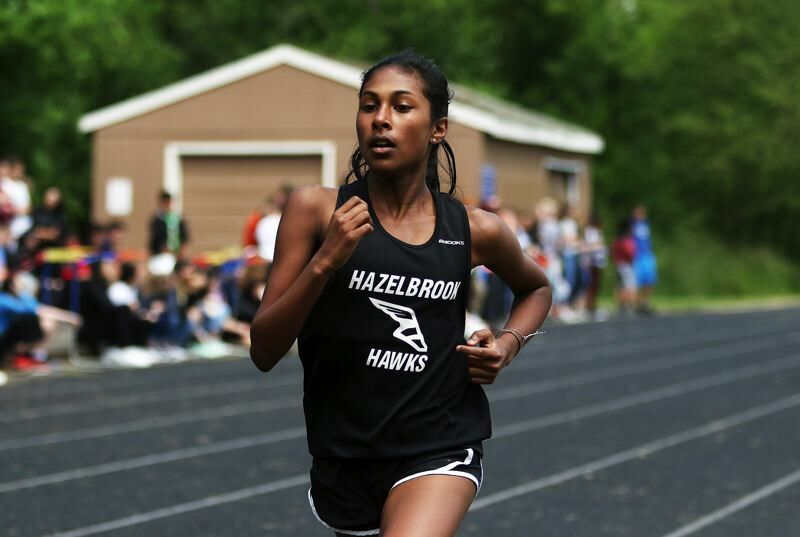 In the eighth-grade girls race, Hazelbrook's Sridhar Mahathi took the lead early, and continued to build on it, on her way to winning in a time of 5:50.03. Twality's Alyssa Moore finished in second place in a time of 5:58.52. Naiya Gates, from Hazelbrook, was third at 5:59.31. Also running in the eighth-grade girls race were Autumn Anderson, Jaslynne Martin and Jarely Garcia from Fowler, Natalie Mathis and Avery Alderman from Twality and Paige Olson from Hazelbrook. 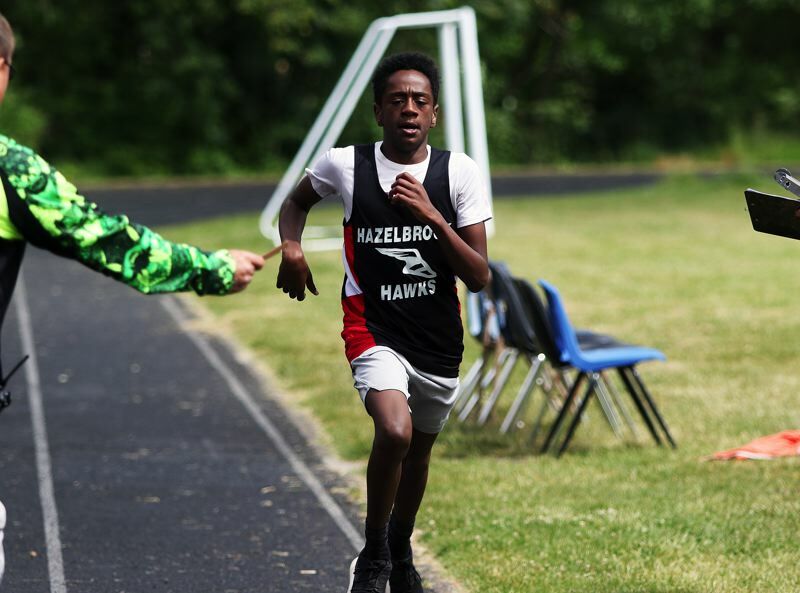 Hazelbrook's Kenen Elder ran to victory in the sixth-grade boys race in a time of 5:19.62. Fowler's Sam Billings took second place in that event with a mark of 5:45.25. Elijah Goiburn, from Twality, took third place in a time of 5:48.00. Also running in the sixth-grade boys race were Caden Tyacke and Spencer Gustafson from Fowler, Christopher Parra from Twality, and A.J. Noland and Emliano Gonzalez from Hazelbrook. Fowler's Caroline Johnson pulled away over the final half-mile to win the sixth-grade girls race in a time of 5:45.53. Lauren Ayers, from Hazelbrook, was second with a mark of 6:07.41. Fowler's Ruby Tischhauser was third in a time of 6:10.78. Also competing in the sixth-grade girls race were Sabine Kim of Fowler, Maya Hawks, Kyra Bakke and Eva Caulfield of Twality, and Karys Gates and Amity Humphrey from Hazelbrook.